Nordstrom Is Extending Their Size Offerings In Store! Another day, another retailer stepping out into the plus space! This time, one of our favorites, Nordstrom is not only extending their size offerings, but they’re bringing these offerings to a store near you! Is your city on the list? Read more to find out! 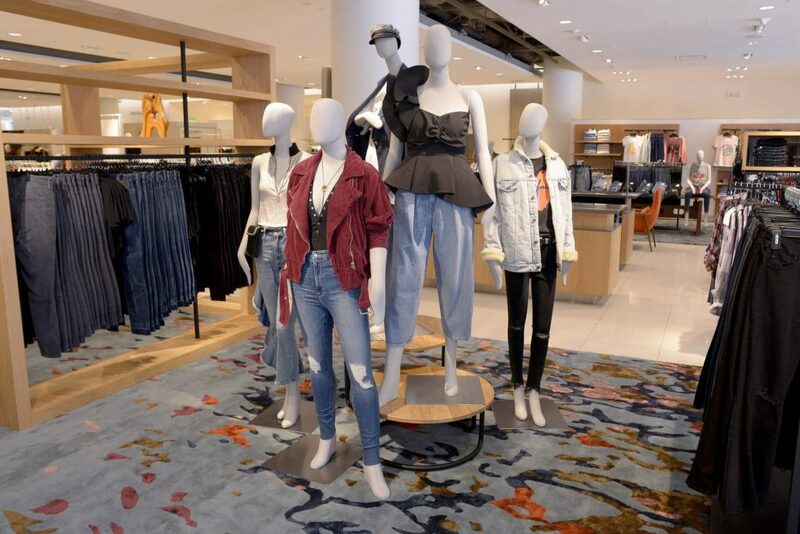 Nordstrom has been taking steps toward better inclusiveness — “for everybody and every body” — with partnerships such as Tess Holliday’s campaign with Alpine Butterfly. Now, in addition to more options, the retail store wants to make sure more of its locations offers these options. Get this, Nordstrom will be bringing its extended sizing expansion to 30 stores! Participating brands include Nike, Adidas and Beyond Yoga, who added size XXL, Paige, Frame and MOTHER added size 34, Rebecca Taylor, Theory and ALC added sizes 14 and 16 and Nordstrom private-label brands Halogen, Zella and Nordstrom Signature now come in sizes XXS-XXL and 0-18. And Nordstrom isn’t done! In celebration of its Anniversary Sale, beginning July 20, it will be extending sizes even further, with several of its private label brands going up to size 24. Its European brand partners will be expanding its size range, as well. Plus, size-inclusive mannequins have been created exclusively for Nordstrom. Interested in learning which locations will offer extended sizes? Well, you’re in luck! I wonder if this will also translate online, too? Will it be easier to find which brands cater to this extension and challenge by Nordstrom for their brands to include more sizes? The plus size consumer has challenged Nordstrom and other retailers to do more and to do etter… and well- they have been making it happen. Just yesterday, we shared news of Target’s new plan to double the footprint of plus size options in store and now this? Okay… Okay. We see you! While this move is curious, there is still much room for improvement here; for the full plus size range up through at least a size 26 to be represented. These are cool baby steps, but more has to be done here and more has to be pushed for true inclusivity. I do hope that this inclusion is also reflected in their advertisements, campaigns, lookbooks, and that the same level of attention is paid to BOTH the straight size/inbetweenie and the plus size consumer. But in the meantime, what do you think about Nordstrom’s new initiative? How do you think that Nordstrom can further achieve full inclusiveness? Staff sensitivity training. And I wish they’d expand it to even more locations. But I’ll take it where I can. The service from them in Encore has been discouraging lately.